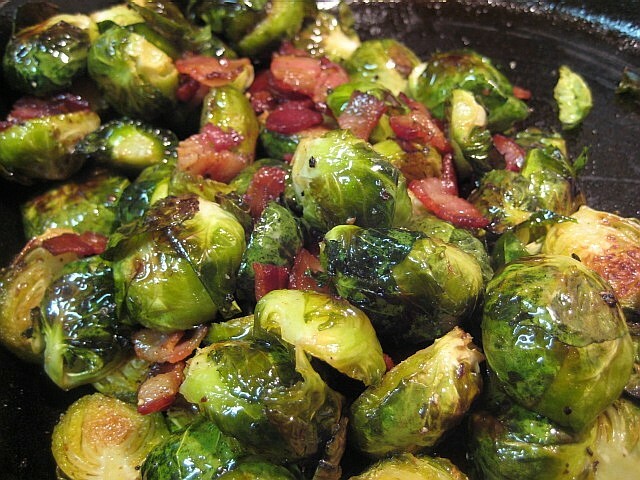 Say the words, "Brussels sprouts" to most people, and they gag at the mere thought. At this very moment you're probably remembering a scene from your childhood: sitting at the dinner table well after the rest of the family was excused, held hostage by a plate of boiled Brussels sprouts your parents insisted you eat just one of before you could rejoin humanity. And those of you not averse to meat should flavor them with a simple vinaigrette of cider vinegar and lots of crispy bacon -- but only if it's certified humane and all natural. 1. Heat oven to 375 degrees F and line a baking sheet (or two, depending on size) with parchment paper or aluminum foil. Trim any browned ends off the sprouts, then slice them in half. 2. 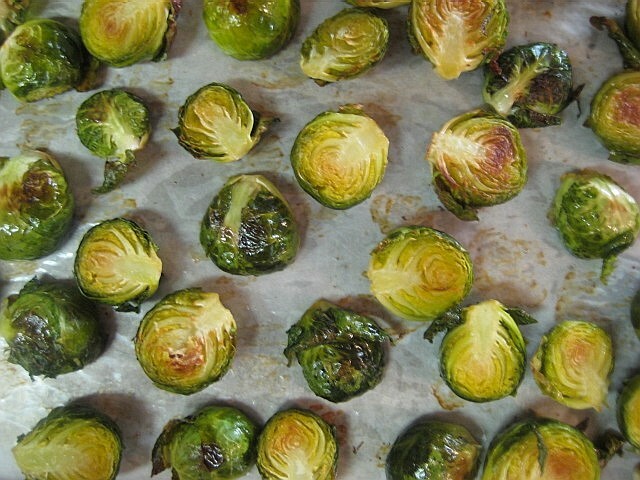 Arrange the sprouts on baking sheet(s), drizzle with olive oil and toss to coat. 3. Roast for 35 to 45 minutes, stirring and tossing them around halfway through, until sprouts are softened on the inside and crispy on the outside. Remove from oven, season to taste with salt and pepper, and serve. 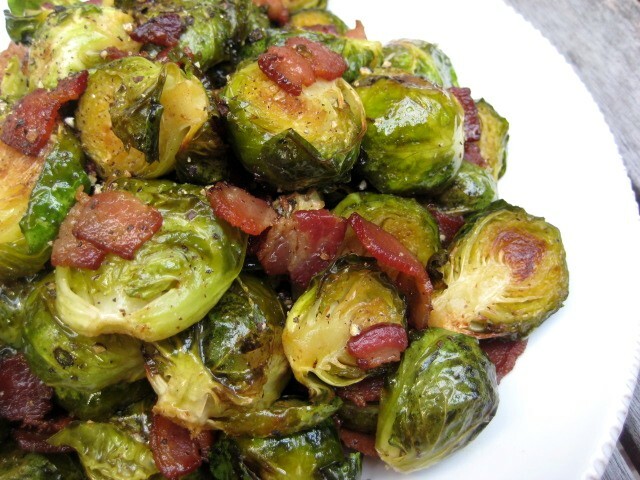 To make the Bacon Cider Vinaigrette, cut 1/2 lb to 3/4 lb pound of bacon into 1/2-inch pieces. Saute in a heavy-bottomed skillet or pan until brown and crispy. Carefully drain the fat from the pan (I do this several times while the bacon cooks), leaving about 3/4 tablespoon bacon fat. Add the roasted Brussels sprouts and apple cider vinegar, toss to combine, and serve. This looks delicious. I saw brussels sprouts on the vine for the first time, a few weeks ago at Trader Joe's I was kind of disappointed. I always imagined them growing out of the ground like miniature heads of cabbage. bacon cider?!! I think any vegetable with that on top would be delicious.